The Mystery Blogger Award.. – Talk Exchange..! Hey Guys! I am glad to announce that I have been nominated for The Mystery Blogger Award by Mes Mots SCORPIO1987SAJAL . Thank you very much Mes Mots for nominating me for this prestigious award. Readers, definitely go through Mes Mots as it is one of the best blogs I’ve ever known and Sajal works really hard for maintaining his blog. Do read it and acknowledge his efforts by following him! Waiting for your Answers dear Nominees! Q1.What would you do if you time travel in 19th Century – Which place you will like to visit ? Ans: If I ever get a chance to go back to the 19th century then I would just love to go to New York and audition for ‘F.R.I.E.N.D.S’ Series for the character of Monica. Q2. You would want to sleep all day or write/read all night? Ans: Umm..I would first like to write all night about my feelings and thoughts in the Night and then sleep for the next whole day. Q3. What song comes to your mind when you feel broken? Ans: There’s this beautiful song ‘Only Hope’ by Mandy Moore from the movie ‘A Walk To Remember’ that comes to mind whenever I feel broken. Q4. Which article of mine you like the most.? Ans: Honestly, I just love all that you write. Especially your short poems. But my fav is Silence of the Sea. I am an extremely talkative person. At first, you won’t think so but then once you get to know me, you will understand that keeping quiet is really a difficult task for me. I like be quiet and away from the world with my mobile and headphones when I feel sad and low. Writing for and about my loved ones is one of my favourite activities and I look forward to writing many posts dedicated to my dear ones. If you were given 3 wishes to be granted, What would your 3 wishes be? When you think of the word ‘Happiness’, What comes to your mind? Which cartoon character or any Series character would you like to be? 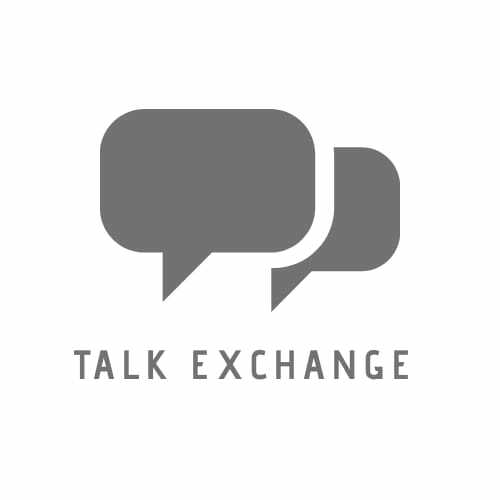 Which of the Talk Exchange posts’ is your favourite? How would you describe yourself in a single statement? Thank you so much for your constant support. It is all because of your constant support and encouragement that I have reached here. Your constant support is the fuel for Talk Exchange..! to reach it’s ultimate destination. Thank you all, Thank you once again! Wishing you all A Very Happy 2019 in advance. May Lord bless all of us with pure happiness and an exciting year ahead! Thanks you so much…Waiting for your answers nominee ..
Award award on ur blog !! 1. I would love to visit my own home in 19th century to see british army and administrator over there. 3 I would love to see 4 generation under the same roof. Congratulations Neha. You deserve it dear friend. Thank you so much Bible Blogger!.. Welcome Neha. Many blessings to you. Thanks a lot neha for nominating me..
Congratulations Neha… Thank you so much for nominating me.. Time travelling to 19th century for the friends audition… Great yar..
1) Three wishes.. 1. I want to relive my school days. 2. If I had the power to eradicate Plastic I would do that to eradicate of it in the world. 3. I wish to have dozens of kids around me every time to play and make me happy..
2)When you think of the word ‘Happiness’, What comes to your mind? 3)Which cartoon character or any Series character would you like to be? Popeye the sailor… This one character is my inspiration to fight back no matter what the situation is…. 4)Which of the Talk Exchange posts’ is your favourite? Your work on “Dil… Duniya Mein Yunhi Hota Hain” impressed me.. But the best one is Stepping stone– I admire your Dad for visiting the school of unprivileged… Truly inspiring.. I also like the post on dear Mom. 5)How would you describe yourself in a single statement? Apne baare me describe karna mushkil hai yar. Chalo to answer the question.. I am simple, frank and talkative person, do what I wish for doesn’t matter it is good or bad. Congrats on your nomination and to the people you nominated Neha! I wish you blessings and happiness in the new year too blogger friend! Thanks Nisha…You are really kind..
Congrats! Enjoyed the three things about you; especially the first one, which reminded me a little of me. PreviousStepping Stone…Journey Towards My Success.